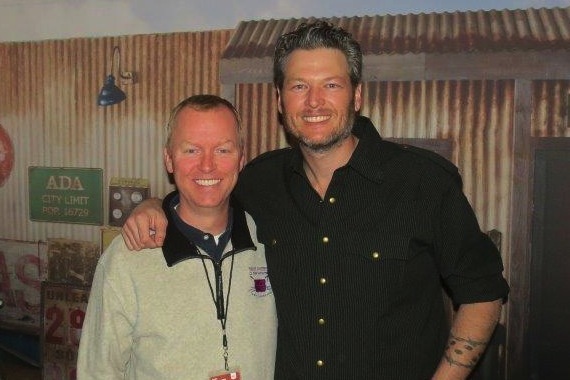 Erik Johnson (PD/KXKT – Omaha, Nebraska) poses with Blake Shelton prior to a sold-out concert in Lincoln, Nebraska, on Thursday (Feb. 25). 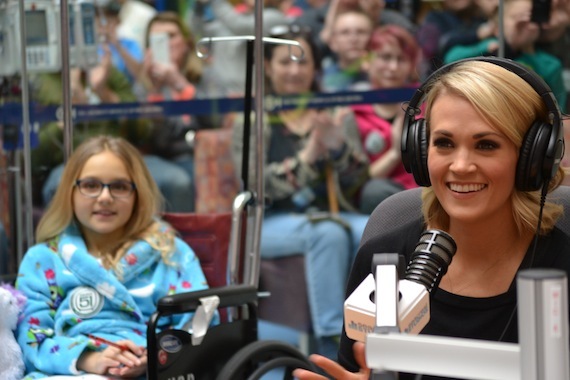 While on tour in Pennsylvania this week, Carrie Underwood visited the Children’s Hospital of Philadelphia with the Ryan Seacrest Foundation where she was interviewed by and met patients at the Foundation’s Seacrest Studios. 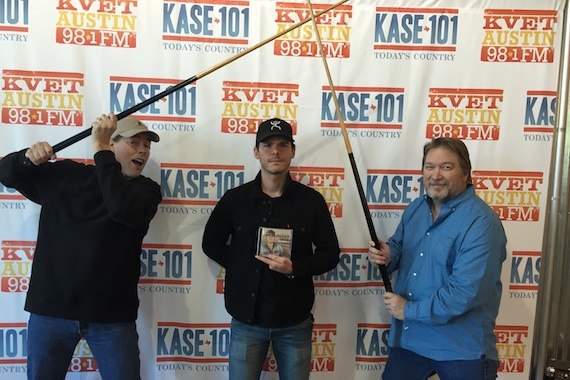 Granger Smith (center) goofs around with his hometown station in Austin, Texas, iHeart’s KASE. Flanked by VP of Programming Travis Moon (L) and MD Bob Pickett, Smith is promoting his March 4 release, Remington. 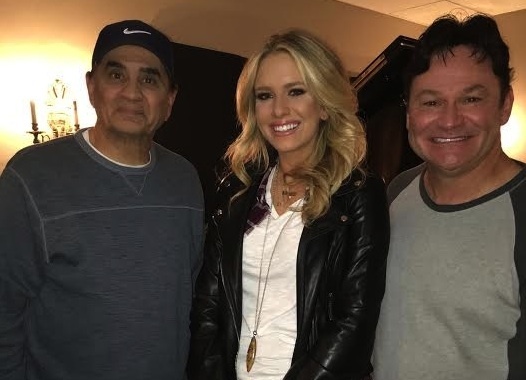 OMG Entertainment’s Sierra Black is finishing up the recording of her debut album, featuring her new single, “Heart on Ice.” Pictured (L-R): Producer Michael Omartian, Sierra Black, and producer Tom Hemby.